Web.com Website Builder - Are Negative Reviews Accurate? 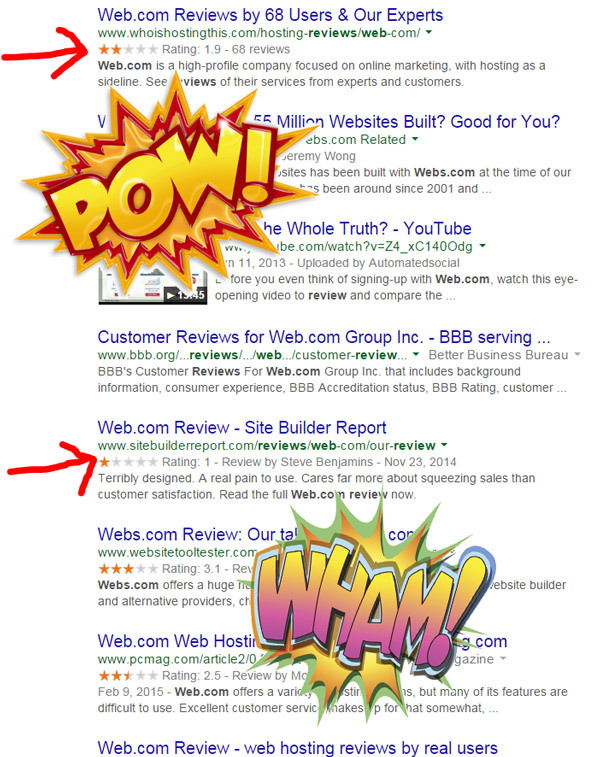 Before I get into the review of the Web.com website builder, it’s important to know who we’re dealing with. Web.com is owned by Web.com Group Inc., a publicly traded company (Nasdaq WWWW), owning many web marketing brands like Register.com, Network Solutions, and 1ShoppingCart (which I use myself and like very much). Note: For what it’s worth, Web.com is one of two website builders I’ve seen that is publicly owned. Wix is the other one. I’m sure there will be more going public soon as website builders grow in popularity. If you just look at the reviews on the first page of Google before getting started with Web.com to build your website, it’s easy to see the reviews are not very positive. Web.com currently offers two options for creating a website. One is their website builder and the other option is where they build the website for you. In this post, I’m focusing on reviewing the website builder option, which allows you to build your website yourself using the website builder software they provide. The other option is what they call “We Build It For You.” Web.com will actually build your site for free, which is pretty cool. What is NOT cool is the monthly price they stick you with after your site is done. They don’t list the price on their website anymore, but I did some sleuthing with their online chat tool. OK – I really just asked and they told me. There wasn’t much in terms of detective work. The price at the time was $114.95 per month. They listed other services like SEO, traffic stats, etc. but it was nothing you don’t get from other hosting companies for a few dollars per month. See the transcript of my chat here. So while the no-cost website startup is attractive, beware of the exorbitant monthly fees that can cut into your budget over time. And now for the main event and purpose of this post. 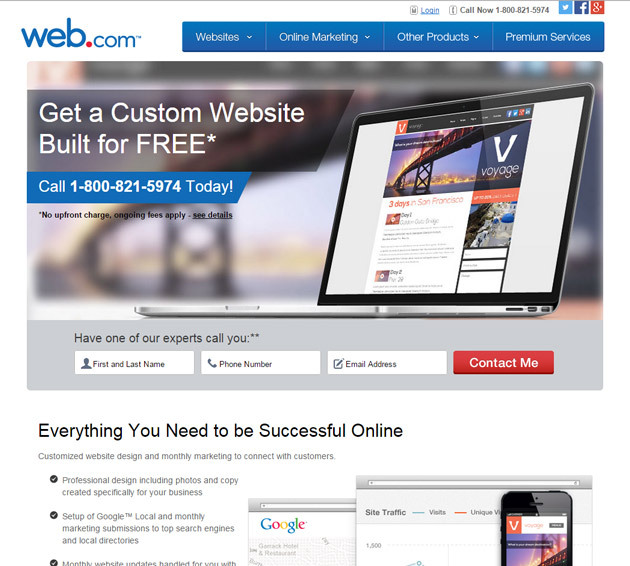 The Do-It-Yourself website builder from Web.com. 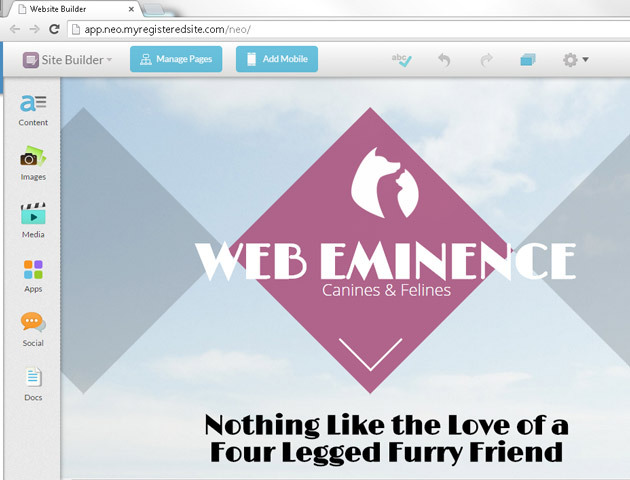 Check out my video walkthrough of their website builder first, and then read on for more details. 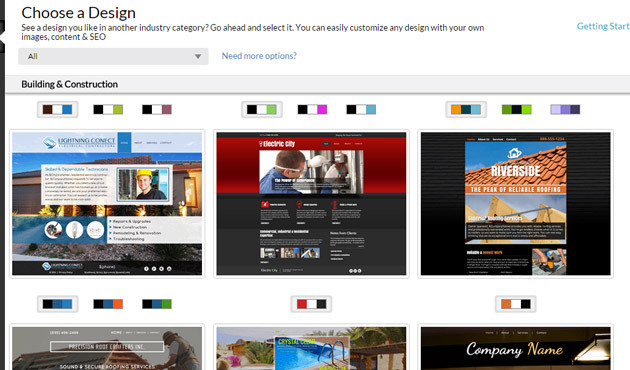 The design templates are important when choosing a website builder. Web design trends are changing all the time but Web.com is clearly not keeping pace. The designs are OK, and since there are over 100 templates, most people will be able to find something they like. Most of it is built for you already. That may sound like a good thing, but the Web.com website builder is more of an editing tool than an actual creation tool. No built in mobile design. That will cost extra. 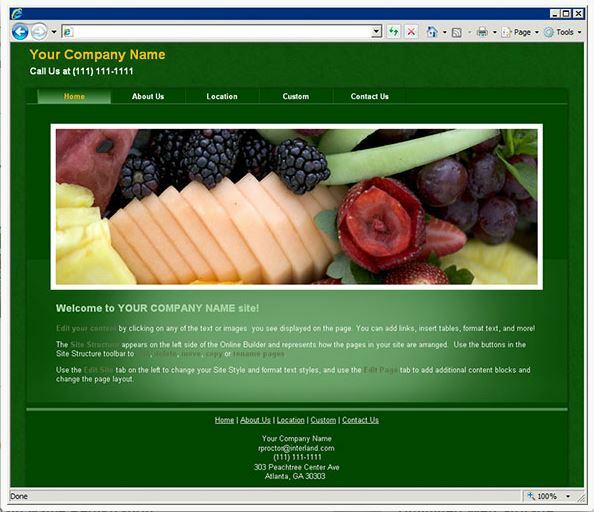 Many of the designs look a little amateurish, like they were built with a sub-par website builder. That’s probably because they were! Web.com isn’t gonna win any awards for the design portfolio they tout on their sales page. It’s actually less impressive than their actual designs. Someone should tell their marketing department to update their website with the new design themes. The design above looks like something I did in my HTML class in high school in 1999. You can see their more updated designs in my video above and a quick glance at the screenshot below shows they have in fact updated them since the turn of the century. The monthly price is high compared to what you’re getting and compared to other website builder options. 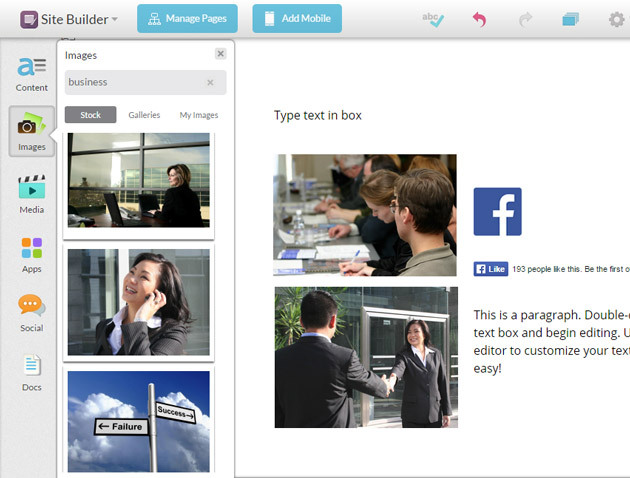 You can view my video above to see the website builder in action. Overall, it’s not bad in its functionality and design. In the few capabilities it offers, it performs well. I often measure the use of a website builder on a scale of FUN to FRUSTRATING. I would Web.com somewhere in the middle, but closer to FUN. No blog! This is probably a deal-breaker for many people. Limited widgets – only the basics are provided. Slow server at times. I doubt the website builder and sites are hosted on cutting-edge technology. 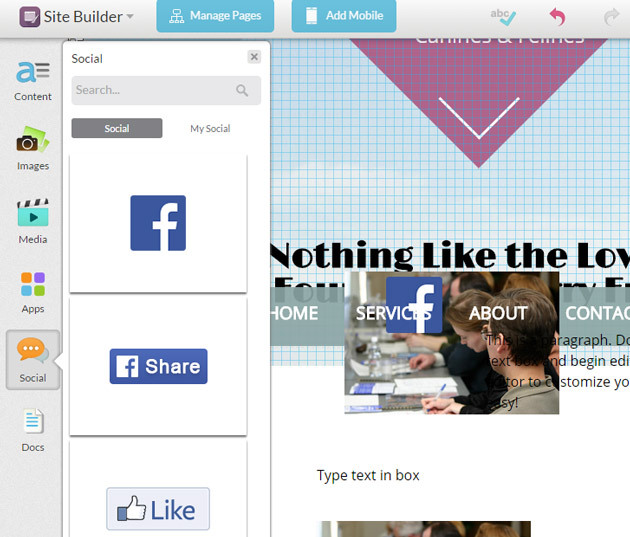 The layered builder can be useful but can also make your page look like a mess! It should be obvious from my video and what I wrote above. I can’t strongly recommend the Web.com website builder. It’s not horrible, but it just doesn’t compare to some of the better website builders in functionality and value for the money. So who would use the Web.com website builder? I’m sure Web.com has thousands or millions of customers, but where are they coming from if the website builder is average at best? Well – from what I’ve heard and experienced, Web.com excels at sales and billing. You’ll rarely have an issue paying for your account, but I’ve spoken to many of their customers who have issues with support on their website products. It’s a shame that so many people don’t do the research to find the best value for the money, but that’s exactly what I’m trying to make easier with these reviews. So who do I recommend use it? The simple answer is – NO ONE! But I do understand that people who have built their site on the platform already may just want to stay with it. Or maybe someone is getting a deal on the Web.com site builder through a package. I’m stretching here, but basically, far less people should be using the Web.com website builder than actually DO.